Apple has issued at least one App Store rejection note that cites a cloned icon as its reason reports developer Benjamin Mayo. The notice was not received in response to one of his apps, but appears to indicate a more aggressive stance by Apple on cloned apps than we’ve ever seen in the past. In fact, we’ve never seen a notice like this one, especially one dedicated to the icons themselves. App Store app icons are the front-line branding of an app. A unique and well-designed icon can make or break casual taps on an app in the store and cloning of popular app’s icons has been a rampant issue. 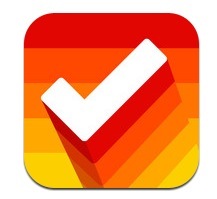 Interestingly enough, the icon for this app was blue, not red, as is the case with the Clear icon. So Apple felt that it was close enough in design, not even just coloration, to be rejected. It would be appropriate to modify your app icon so that they don’t appear to be similar. Apple is extremely tight-lipped about its App Store review process, which makes it difficult to ascertain the veracity of the email, but the format follows others we have seen. There are several possibilities that jump to mind in this instance. Apple could have a short list of regularly cloned apps that it is watching and Clear is certainly one of those, spawning many imitators over the months since its release. Or, it could be watching the top charts as a whole, keeping an eye out for apps that are climbing the charts based on their resemblance to other apps in the list. Either way, this seems like a very hard thing to keep track of. The use of monitoring tools that match icons up with one another to give reviewers a set of ‘possible clones’, which they could then winnow down seems like it would help. 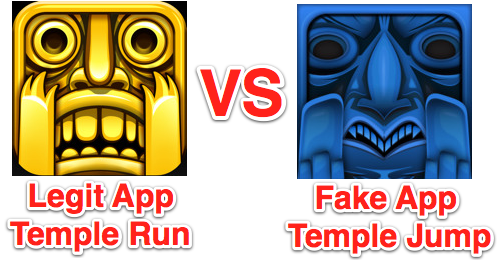 Apple has pulled high-profile clones from the App Store before, one of the most well known examples is Temple Run, which has been a prime target for blatant copies. It also made a heavy sweep through the App Store back in February and removed a bunch of clones of apps like Angry Birds, Temple Run and Plants vs. Zombies. Google has been fairly proactive about pulling high-profile fakes from the Play store, even if they’re fakes from a different platform, like Apple’s Siri. We’ve reached out to Apple for comment on the matter.